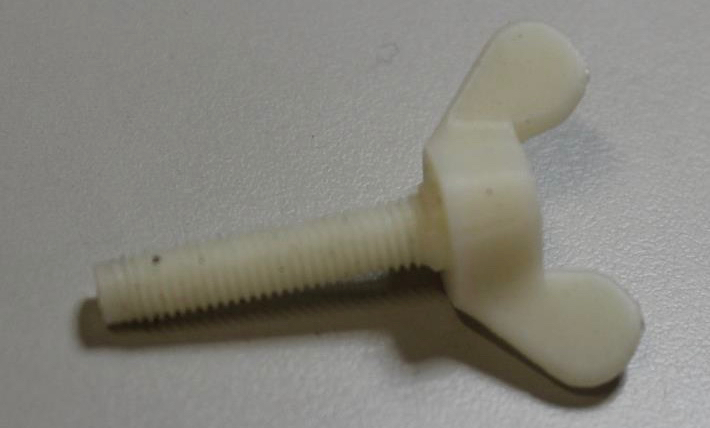 numerical simulation and optimization of 3D printed components. 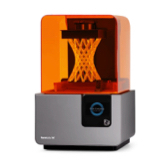 The Protolab has six 3D printers, which use different printing technologies. 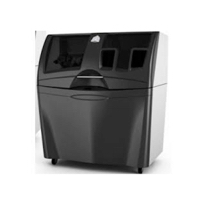 This printer uses stereo-lithographic technology: a liquid resin is poured into a vat and then hardened by a laser light. 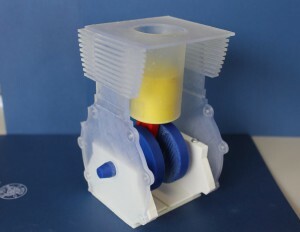 The resulting objects can also be transparent or flexible and are composed of a single material. A Binder Jetting technology, which uses chalk powder, a bonding agent and color ink. The print head selectively deposits the adhesive and the color in a chalk powder bed, building the object layer by layer, with a chromatic resolution of 2,8 million colors. 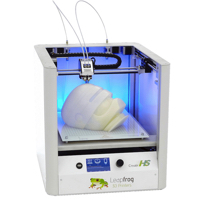 Leapfrog Creatr Dual Extruder e Creatr HS, 3NTR A4v2 e A4v3. 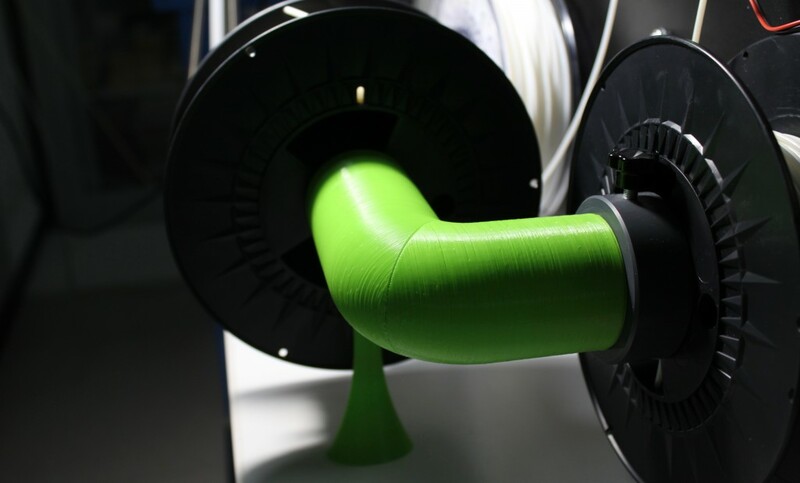 In these printers, a filament of thermoplastic polymer is heated and then extruded through a print nozzle. 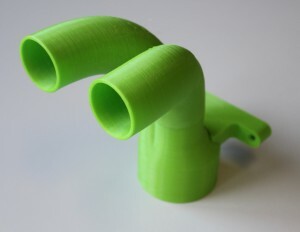 The extruded filament is deployed layer by layer until the desired object is obtained. 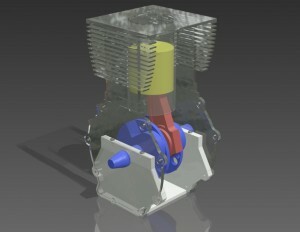 3D modeling is the process concerning the definition of 3D objects in a geometric computer-generated space. 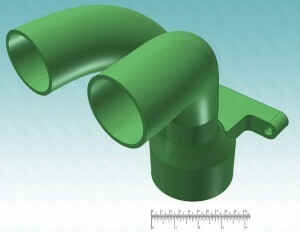 Virtual models are created using dedicated software (CAD). 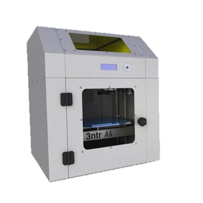 The 3D modeling of an object represents the first step of the entire production process. Once the 3D model is completed, its geometry must be exported in a STL file. This format describes the outer surface of the model through a mesh of oriented triangles. To create the object from 3D model, the corresponding STL file must be imported in a “slicing” software. 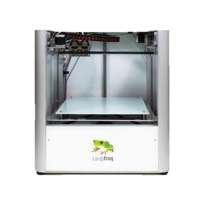 Slicing software generate the 3D printer machine code, which contains the necessary instructions to make the object. Slicing software can also create support structures, which can be subsequently removed. 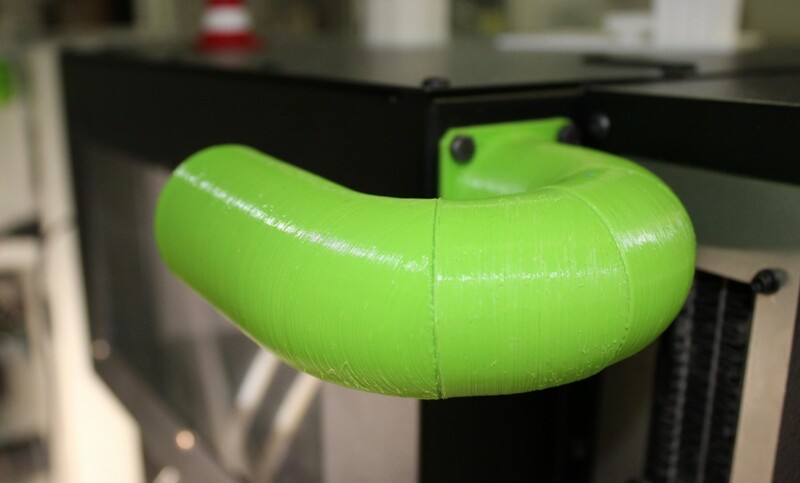 Finally, the object can be subjected to post-processing operations, to remove any support structure and improve mechanical and chromatic features. 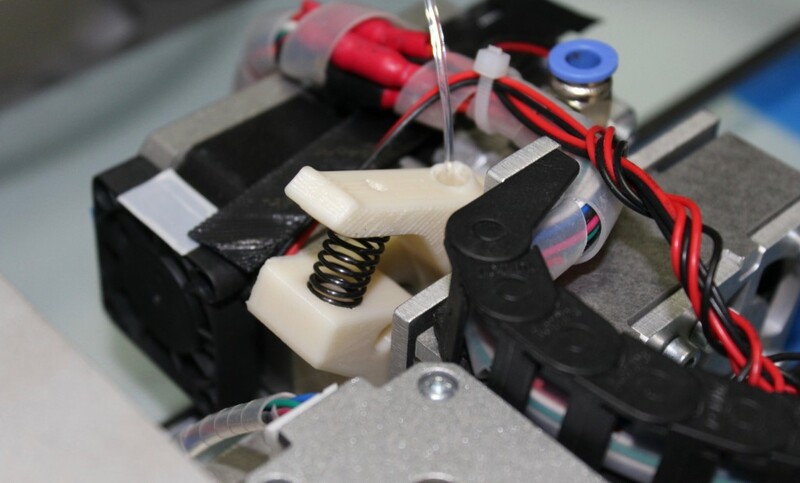 In order to properly design a 3D printed component, knowing its physical, mechanical and thermal properties is crucial. 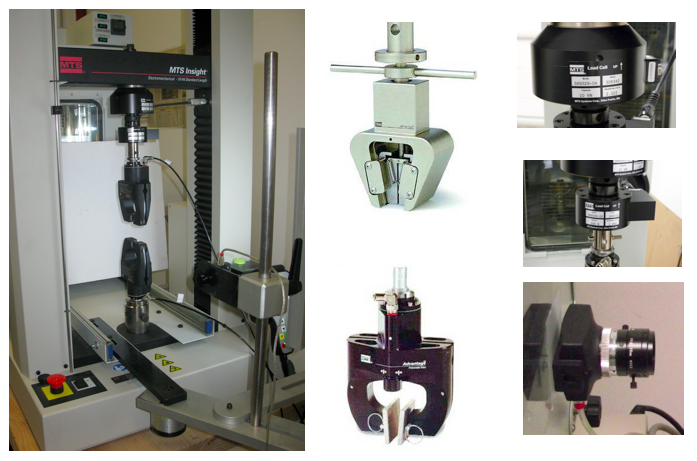 At the Protolab, mechanical properties of different materials are characterized, using a tensile test machine and applying standard characterization protocols. The instrumentation for mechanical testing is an MTS Insight, with 10KN and 250N load cells, which allows to perform tensile, compression and bending tests. 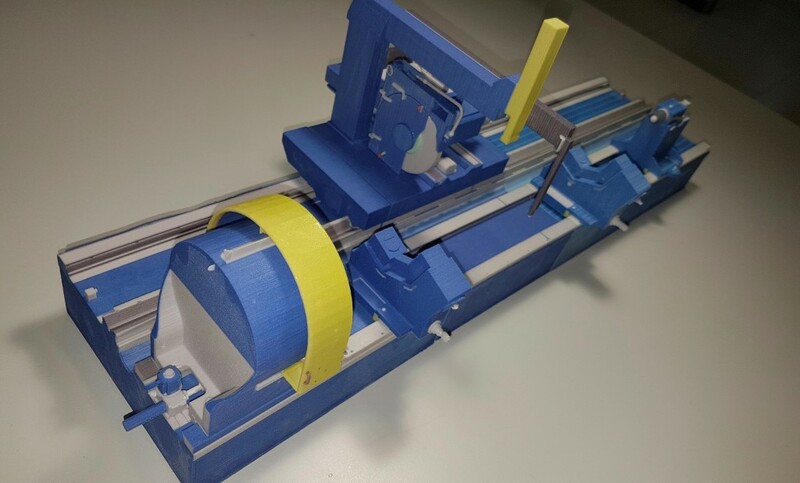 Through a video-extensometer it is possible to measure the material deformation. Simulations concern the study and development of models that describe the structure mechanical response. It is a very powerful numerical analysis tool and the great computing power, offered by modern data processing systems, extended its diffusion to many scientific and technological fields. Great attention is given to the validation of numerical results with experimental tests. 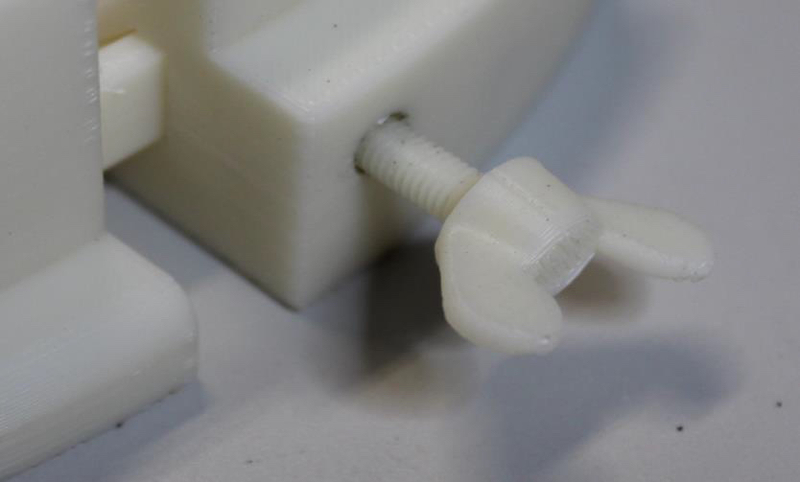 Using appropriate constitutive models, together with ad hoc optimization techniques, allows the creation of 3D printed objects that meet certain structural design requirements. This topic is of particular interest in the industrial field, since it is used to predict and maximize the performance of a structure at the design stage. It is also of paramount importance in research and development of new high-performance materials. The Protolab, since its creation, has advised and developed partnerships with various companies. Among the various collaborations, we can mention 3NTR, FiloAlfa, Treed Filaments, Versalis S.p.A., Tenova S.p.A. e the Museum of Electrical Technology of University of Pavia. Thanks to its consolidated experience, the ProtoLab provides consumers with customized consultancy. 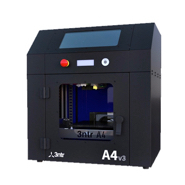 For more information please contact 3dunipv@gmail.com.